615 828 4293 Call or Text Us! The benefits of adding additional Omega-3’s to your diet are well known. Omega-3 fatty acids found in fish oil have well documented benefits to the heart and vascular systems. Increasing attention is now being paid to Omega-3 effects on the brain. Omegas play a key role in the body and are one of the major building blocks of membranes that protect every cell. Unless you are taking a high-quality fish oil product, you may be better off not taking one at all. In this case, what you don’t know could hurt your your health and pocket book. In its un-purified state, fish oil contains contaminants, many of which can be harmful to your health. To purify the oil takes several processes, each one adding to the cost of blending the product. It is imperative to buy your fish oil from a company that not only says it purifies the oil, but one that is willing to share with you the results from every batch made, so you can rest assured that you and your family are safe. The cost for a bottle of fish oil can be very deceptive. The bottom line is, it’s not how much you pay for a bottle of fish oil, but rather the amount you pay for 1,000 mg of the health-promoting ingredients EPA and DHA contained in the oil. Be sure your supplement contains sesame lignans and astaxanthin, two key ingredients that enhance the health-promoting qualities….without these, you are wasting your money! 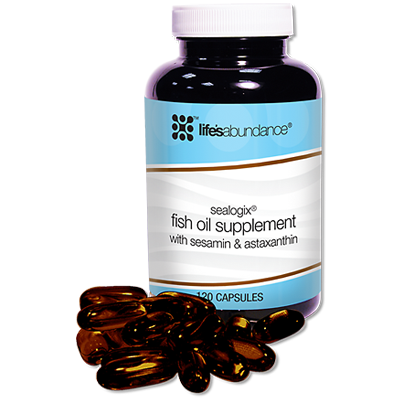 Most companies that sell fish oil offer it in capsule or liquid form. The is no difference in the form, just a matter of personal preference. It’s the quality of the product that matters. You should always remember that a healthy diet is the first line of defense for overall well-being. Along with Omega-3 fatty acids supplementation, it is also critical to ensure you are eating healthy and getting plenty of other vitamins and minerals daily. The easiest way to do so is to start your day with a low-fat, low-sugar protein shake for breakfast and then eat a sensible lunch and dinner that includes lean meats, along with fresh fruits and vegetables. We encourage you to try other natural herbs and remedies. A couple natural herbs we recently discovered and love are Lost Empire Herbs pine pollen and shilajit resin. They are a must for individuals searching for a superfood and natural energy booster–we highly recommend them! Thanks for contacting us. We'll get back to you promptly! Michael - How May I Help You?